Just as varieties of cultural interest in Japan, the new hotel scene is a mélange in style, concept, architecture and destination. One of the highlights is modern capsule hotels, one of the Japan’s inventions from the 1980s. Three of them re-blossomed in the traditional city of Kyoto with the 21st century style and Kyoto’s traditional hospitality, modern efficiency and affordability. Nine Hours, opened in December 2009, has sleek d esign and Japan’s technology nicely applied for relaxation. Opened in March 2010, First Cabin in Karasuma Kyoto provides compact luxury from airline’s first class, and the Capsule Ryokan Kyoto is a surprising unique capsule with traditional ryokan interior such as tatami flooring and futon bedding. Japanese brands are competing in the hotel business in major destinations: The Tokyu Hotels, one of Japan’s most prestigious hotel chains, is opening its door to Tokyo’s most stylish hotel the Capitol Hotel Tokyu on October 22, 2010. This is the flagship property of the Tokyu Hotels with contemporary yet functional design of an internationally renowned architect Kengo Kuma. Guests will be greeted by the calm Hié Shrine’s garden as approaching the hotel entrance. The hotel updates the traditional hospitality from former Capitol Hotel Tokyu, who proudly hosted the Beatles and other international celebrities for the best luxurious experience in Tokyo. Following the grand opening of Hoshinoya Kyoto in December 2009 and the unique capsule hotels, Kyoto is also adding Hotel Kanra on October 28 with the Kyoto’s traditional townhouse machiya atmosphere. The hotel’s highlight is “edutainment,” which touches guests with real experience and understanding of Kyoto’s traditional beauty and hospitality through the hotel’s cultural and art programs. A big international brand is also opening doors: St. Regis Osaka is opening on October 1, 2010 on Midosuji Avenue, the equivalent of Champs Elysees of Paris or the Fifth Avenue of New York City. The world’s highest luxury hotel is the sophisticated calm atmosphere in the busy merchant-oriented city with spectacular culinary center of Japan. FEINSTEIN’S AT LOEWS REGENCY, the nightclub proclaimed “Best of New York” by New York Magazine, and “an invaluable New York institution” by The New York Post, continues its Fall 2010 season with the debut engagement of critically-acclaimed jazz vocalist PAULA WEST from October 12 – 16 and from November 22 – 27. He will perform selections by Bob Dylan (“Shelter From The Storm”), Jimmy Webb (“Wichita Lineman”), Duke Ellington (“Everything But You”) and Irving Berlin (“Suppertime”). She will be joined by the George Mesterhazy Quartet, which features Mr. Mesterhazy (Shirley Horn) on piano, Barak Mori (Madeline Peyroux) on bass, Jerome Jennings (Christian McBride, Sonny Rollins) on drums and Ed Cherry (Dizzy Gillespie) on guitar. According to The New York Times, “with each engagement Ms. West displays more courage, maturity, interpretive insight and vocal confidence. She and her quartet are a match made in pop-jazz heaven.” All performances take place at the Regency Hotel (540 Park Avenue at 61st Street). PAULA WEST has captured the hearts of critics and audiences alike from coast to coast. Known and respected for her creative and distinct repertoire, West adds her own depth and drama to whichever song she chooses for the moment, creating whole new frameworks of meaning for American favorites. West has performed to sell-out houses annually at in San Francisco and New York, increasing her exposure via films, radio broadcasts and performances in France, Italy and Switzerland. West has also sung at major jazz festivals and has shared the bill with numerous jazz luminaries including Rosemary Clooney, Stacey Kent, Mose Allison, Freddy Cole, Jimmy Scott, Oscar Brown Jr., Rita Rudner, Mavis Staples and Dave Frishberg. Other recent appearances include the Spoleto Festival, Jazz at Lincoln Center, the San Francisco Jazz Festival, clubs like Jazz Standard and the Blue Note in New York and Sculler’s in Boston, Jazz Aspen, and a performance at The White House in a salute to American writers. Ms. West was honored as the year’s “Outstanding Female Jazz Vocalist” by the New York Nightlife Awards in 2004, 2005 and 2006. Her critically acclaimed CDs include Temptation, Restless and Come What May, which received the California Music Award for “Outstanding Jazz Album,” as well as guest appearances on Eric Reed’s Max Jazz Christmas CD, Merry Magic, and Frank Mantooth’s final project, Ladies Sing for Lovers, featuring Karrin Allyson, Ann Hampton Callaway, Sheila Jordan and Oleta Adams. West has been featured on numerous television programs including A&E’s “Breakfast with The Arts” the Oxygen Network and BBC Television. Her film appearances include Chris Columbus’ Bicentennial Man starring Robin Williams and the Lynn Hershman film Teknolust starring Tilda Swinton. 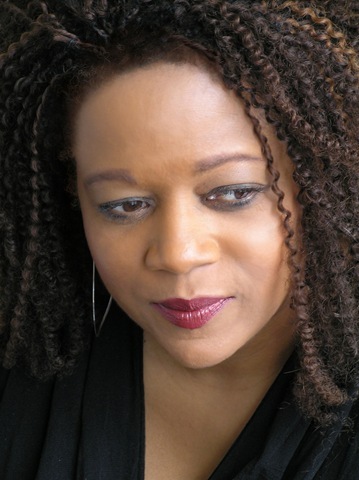 FEINSTEIN’S AT LOEWS REGENCY will present PAULA WEST from October 12 to 16 with the following schedule: Tuesday, Wednesday and Thursday at 8:30 PM; and Friday and Saturday at 8:00 PM and 10:30 PM; and from November 22 to 27 with the following schedule: Monday, Tuesday and Wednesday at 8:30PM; and Friday and Saturday at 8:00 PM and 10:30 PM. PLEASE NOTE: There will be no show on Thursday, November 25. Performances have a $40.00 cover with $60.00 premium seats available, in addition to a $40.00 food and beverage minimum. Jackets are suggested but not required. The club is located at 540 Park Avenue at 61st Street in New York City. For ticket reservations and club information, please call (212) 339-4095 or visit us online at Feinsteinsatloewsregency.com and TicketWeb.com.